Watches are no longer just functional objects, they are also an expression of fashion and lifestyle. Yet despite the growing number of smartphones and smartwatches, the traditional wrist watch is still a highly desired object for many. The most common type of watch is the standard quartz crystal movement - an electronic circuit watch with a vibrating quartz piece that helps keeps precise time to within tenths of hundredths of seconds. However today the choice is vast, with many watches including functions such as alarms, calculators, stopwatches and calendars to name but a few. Battery operated watches are also no longer the only option when it comes to power. Watches powered by light and movement such as Citizen's Eco Drive or Seiko's Kinetic, are leading the way in environmentally friendly technologies. Below is a break down of history, technologies and handy info to help you choose the right watch for you. "Citizen is recognised as a worldwide leader in advanced technology. From the world’s slimmest LCD watch to the first voice recognition watch and the world’s first professional dive watch with an electronic depth sensor, Citizen’s record of world firsts is unmatched." We have a wide range of Gents and Ladies Citizen watches in stock and to order, including quartz watches, Eco-Drives, diamond-set 'Sunrise' collection watches, chronographs and satellite watches. 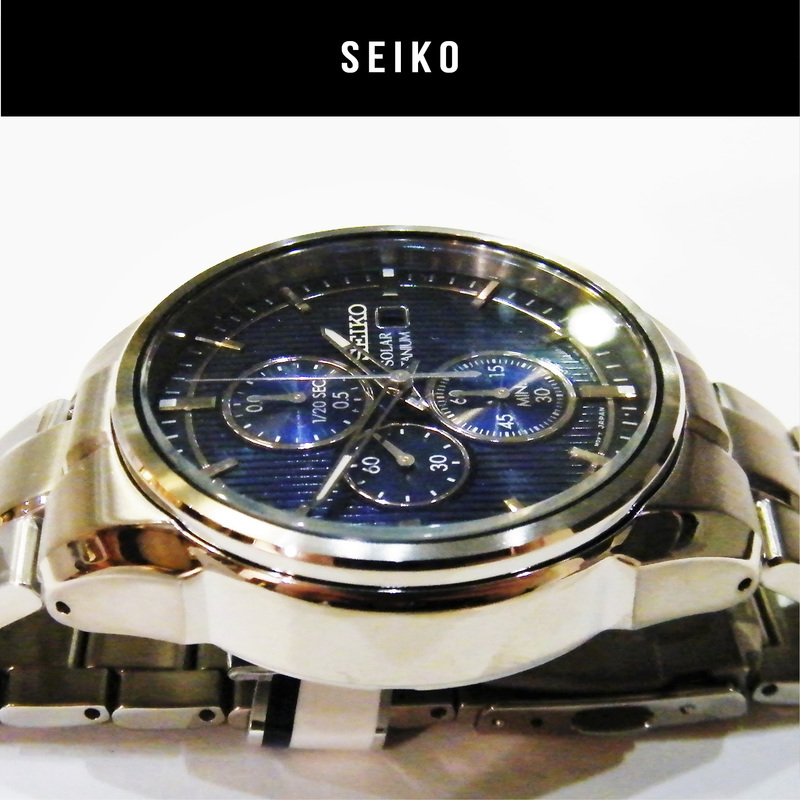 We have a wide range of Gents and Ladies Seiko watches and clocks in stock and to special order, including Seiko solar and kinetic technology watches, Sportura collection, 'Melody in Motion' wall clocks and many more. 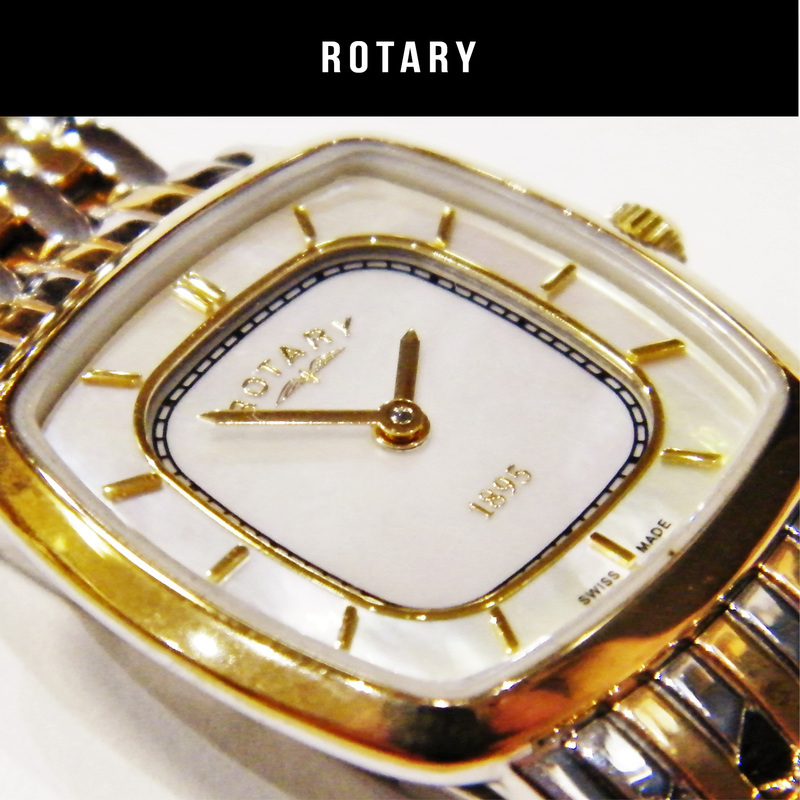 We stock a selective range of classic Gents and Ladies Rotary watches with many more available to special order. "Pulsar burst onto the world watch market with the first ever LED watch in 1972 and since then the name has been synonymous with adventurous and leading edge design. Today, PULSAR continues the tradition with new collections that are as individual, as distinctive and as desirable as any in the brands history." We stock a wide range of affordable, stylish Pulsar watches for Gents and Ladies, with more available to special order. Our range includes Sports, Solar and Dress watches. We stock a selective range of Gents, Ladies and Kids Lorus watches with more available to special order. Styles include their classic, sports and dress ranges. 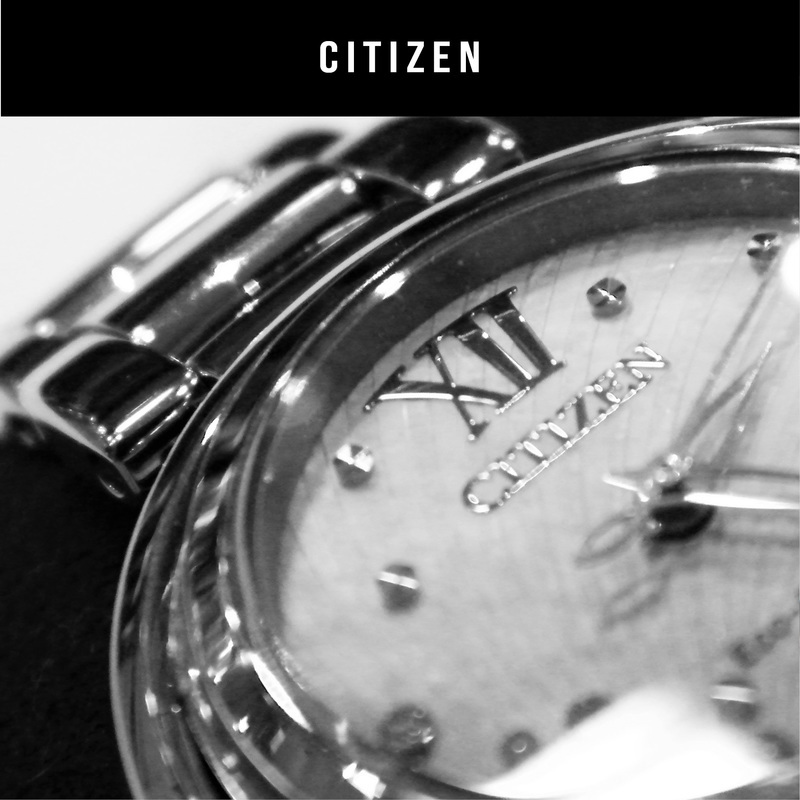 DID YOU KNOW - We are an official stockist of Citizen, Seiko and Rotary watches and therefore deal directly with those companies, offering professional watch services and repairs and a fast special ordering service. In simple terms, a mechanical watch is powered by a mainspring in a housing called a barrel. The mainspring when wound by hand via the button and stem, unwinds very slowly transmitting power to the gear train. The gear train is connected to the escapement adjustment, which in turn transmits impulses to the balance wheel. The balance wheel oscillates to produce a ticking sound. A self winding mechanism consists of a weighted rotor arm that swings back and forth with every movement of the wrist. This moment winds the mainspring which unwinds very slowly transmitting power to the gear train. The gear train is connected to the escapement adjustment, which in turn transmits impulses to the balance wheel. The balance wheel oscillates to produce a ticking sound. Most watches today have some level of water resistance dependant on the design of the watch and the intended purpose. When buying a watch consider whether or not you will be wearing it in water. Below is a simple list to explain the differences between the various water resistances available. No Indication - this would suggest that the watch is NOT resistant to splashing or contact with water of any kind. Water Resistant - will resist moisture from accidental splashing, rain, sweat etc. Water Resistant 50m - will resist moisture from accidental splashing, rain, showering or swimming. Water Resistant 100m - watch may be worn for swimming or snorkelling if properly sealed. Water Resistant 200m - watch may be worn for diving to a 200 meters max static pressure. DID YOU KNOW - 'M' on a watch refers to metres, or measure of depth. 'ATM' refers to atmosphere, or measurement or pressure. You can generally find these requirements and other serial / model numbers on the back of your case or clasp. We stock a wide range of leather straps, expanding bracelets and metal bracelets in store, but have many more to special order upon request including canvas, rubber, coloured and ceramic. It is important to ensure that your strap or bracelet fits correctly - to accommodate this we do offer fitting and alterations in store. Below is a list of available straps and styles and the benefits each can offer. Hirsch Leather Straps - Luxurious straps in a wide range of leathers including precious leathers such as alligator, crocodile and lizard. Some straps also feature water resistances, hypoallergenic properties and aloe vera for softness. We stock sizes 6mm - 30mm, although some styles may be available just to special order. Darlena Straps - Fine quality watchbands by a British family-run company. Made from high grade leather and tested against colour loss, strength and water absorption.We stock a wide range including sports and leisure silicone, rubber and nylon bands, metal bracelets and the exotic Puccini collection, handmade in Italy. Many strap lengths and sizes available. Metal Bracelets - We stock a wide range of stainless steel, bi-colour, and gold plate metal bracelets in various styles and sizes. For specialist bracelets such as titanium or coloured just ask for more details. To ensure your watch looks great and works accurately it is important to service your watch regularly. Time between servicing will vary depending on the technology, model, environment and conditions it is being used. Service charges will also vary depending on the type of watch e.g. mechanical, satellite, prestigious brand etc. However, there is lots you can do on a regular basis to prolong the life of your watch. Always refer to the instruction booklet and manufacturer's guarantee for specific care instructions. Do not exceed the water resistance for your watch as stated on the model. For more info consult your instruction booklet. Ensure your winder is closed and in the correct position before contact with water. Keep your watch away from chemicals and perfumes. If exposed to seawater make sure you wash your watch in clean water and wipe dry to remove all traces of salt. Exposure to seawater may corrode your watch. When changing a battery please ensure your battery is changed by a professional, who can also check your seal and re-pressurise if necessary. Do not expose your watch to high temperatures. Clean your strap or bracelet with a damp cloth regularly, especially after perspiring or coming into contact with seawater.